All nationalities have generalizations made about them. For Brazilians it’s that they love gatherings with family and friends, barbecue (the national sport after fútbol), the outdoor life, and garlic … lots of garlic. I’m one of those travelers who immerse herself in local life. I try out my fractured language skills, wander down non-touristy side streets, and shop at community grocery stores, all of which provide a peek into a society’s culture. While in Rio for a week recently, I visited a food store every day looking at such things as the milk on the shelves and even an assortment of sausages that rivaled those in a German deli in Berlin. But the area that stopped me in my tracks was the produce section. 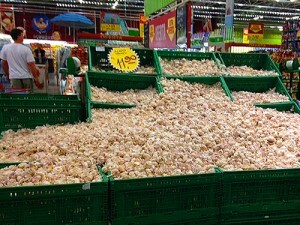 There I stood staring at garlic bins that took up the space of an American-sized living room. 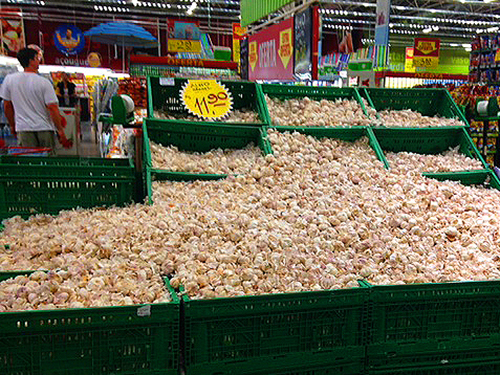 Honestly, you have never seen so much heaped-up garlic in your life, which helped me quickly understand why garlic is the official community aroma throughout the residential neighborhoods around Rio. Every house in Rio has a built-in barbecue grill and apartment and condo buildings provide rooftop barbecue grills. Staying on family property, we did not plan a special barbecue for the weekend since we barbecued daily at nightfall and then ate for hours. These were not meals of hamburgers and hotdogs but mini-feasts of barbecued chicken, sausage and steak. Brazilians love their meat and when they’re not barbecuing at home, they often dine at a barbecue restaurant. While in Rio on this trip I ate at two prominent restaurants: Gallo Carioca in Barra da Tijuca, Rio’s wealthiest beach community, and Baby Beef, one of the city’s most renown churrascarias, a barbecue house specializing in the rodizio. Rodizio is uniquely South American. Servers don’t bring your order but walk table to table, offering skewers of steak, chicken and sausage. I enjoyed Baby Beef’s rodizio but I liked their caipirinha cart even more. 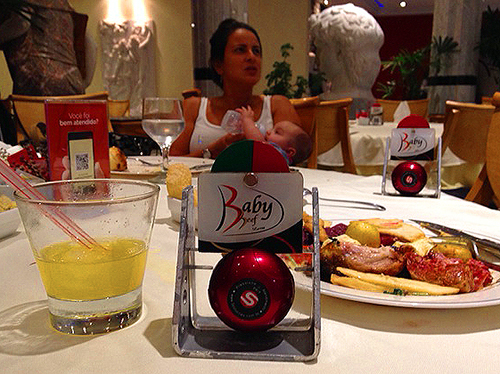 At Baby Beef, you’re also served by a cairpinha master who pushes his wheeled cart around the restaurant and you choose your alcohol – traditional Cachaça, the Brazilian spirit distilled from sugarcane, or vodka. And on the cart there is also fruit … all kinds of fruit, from lime and passionfruit to berries. I’m a traditionalist and my caipirinha has to be cacacha and must be made with lime for me making it any other way is just not authentic. But at Baby Beef I went rebel and ordered a passionfruit caipirinha. It was delicious but I soon returned to the tried-and-true lime. It is a region of contrasts, which multiplies the exotic beauty of the city and region. 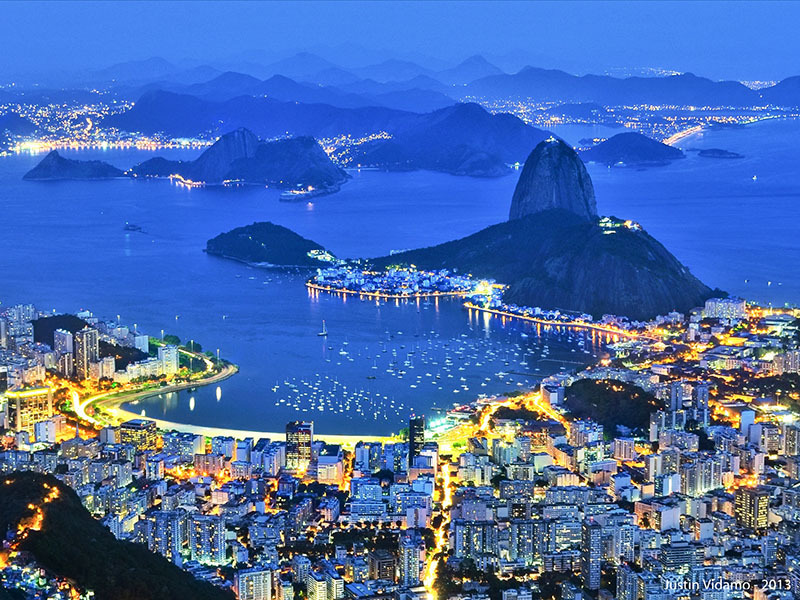 The favelas of Rio –city slums now identified as a “communities” – are frequently perched on the most breathtaking spots in Rio. Window-less concrete boxes, they often sit on hills overlooking Rio’s beautiful bays and seascapes. Even as we drove along a bustling, multilane highway enroute to Tijuca National Forest we passed million-dollar mountaintop houses that were abutted by Rocinha, Brazil’s largest favela. The dichotomy of economic demographics was amazing. Tijuca National Forest, in which stands the colossal sculpture of Christ the Redeemer, is the largest urban rainforest in the world and home to exotic wildlife and spectacular vistas. Although cars, hikers and bicyclists share the steep winding road through the forest, I never did witness an accident, though at times it seemed as if everyone was converging at one time in the same spot. This was particularly true in the area of Chinese View, where there is a spectacular view out over the city and Sugarloaf. Unbelievably, we actually were able to park right at the outlook and from our perch above the bay I had the statue of Christ the Redeemer to my left and Copacabana Beach forward. In the distance tiny islands sprouted from the sea. It was beautiful. 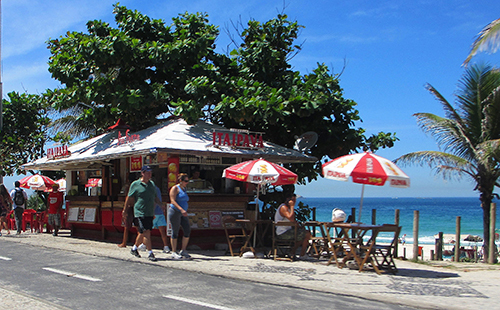 If you’re driving through some of the smaller, less-touristy city districts, such as Gavea, stop and walk about. The streets are tree-lined and the people very congenial, even though English is not widely spoken. On the other hand you may encounter school-aged children who are now learning English just as children in private schools have done for years. 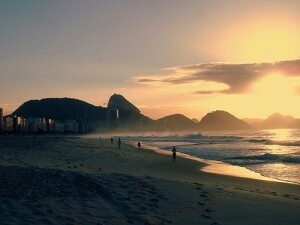 Of course, while in Rio one should visit the beaches at Copacabana and Ipanema. But those tourist epicenters are not my first choice for sand-and-sea when so many other less-tourist filled beaches abound in Rio. One is Barra da Tijuca, a postcard-perfect beach in an affluent, safe, cosmopolitan community where you’ll find world-class shopping. At the beach I don’t even go in the water but I love Barra, as the locals call it, for its other-worldly-ness even though at 90 degrees the beach was too warm to sit in the sun. We spent time there every day purchasing snacks and drinks from vendors along the promenade. One morning before I left I found that I needed an emergency dental appointment. Luckily I was able to find a specialist who opened his office during Carnavale, a time when everything was closed. It turned out to be the most relaxing, serene dentist visit I’ve ever had. 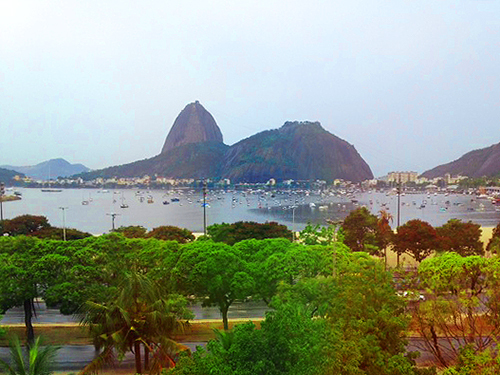 As I sat looking out the window from the dental chair I had a beautiful view of Botafogo Bay with its shimmering water dotted with sailboats. From the dentist chair it almost looked as if the boats had been painted on an azure canvas with Sugar Loaf Mountain standing sentinel above it. I was mesmerized by this landscape and seascape during my entire time in the dentist’s office and took the memory of it back home a few days later. Nicely done and comprehensive article. Good job painting a mental picture of one of the most exciting places on earth. 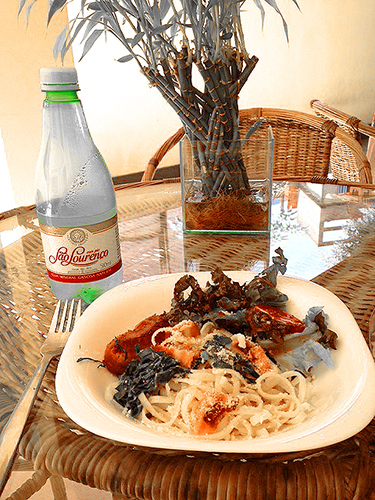 garlic, barbeque and beautiful vistas…what more could you want in a destination? I’m in! Midori, you can join me and Dee! Love Rio …. scenery spectacular, people so warm-hearted …. and incredibly-delicious food!